The unrivalled power and durability of AIE lightweight rotary engines are guaranteed through the use of revolutionary new technologies that effectively eliminate drawbacks found in many other rotary engine developments.Access to the latest discoveries from leading names in rotary engine design together with advanced manufacturing capabilities enable AIE to pass on unique benefits to their customers through patented technology as detailed below. 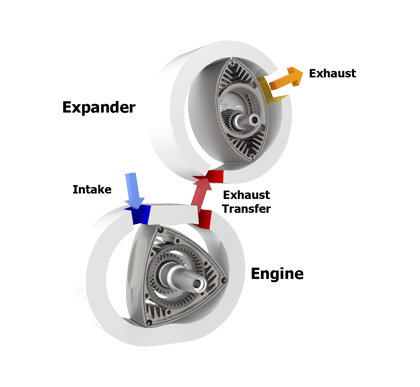 AIE patented SPARCS (Self-Pressurising-Air Rotor Cooling System) is rewriting the rules in rotary engine design with the advanced ability to utilise pressurised gases from the combustion process as a medium for cooling. 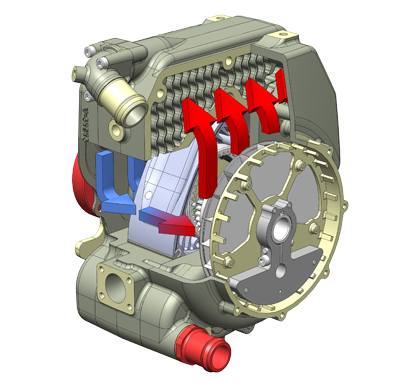 By means of an external heat exchanger to deliver superior heat rejection and a completely sealed engine core, SPARCS provides AIE Wankel rotary engines with longer endurance and zero oil loss for increased performance. 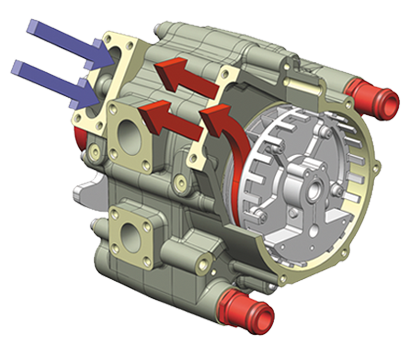 AIE’s patented rotary exhaust expander unit CREEV (Compound Rotary Engine for Electric Vehicles) is delivering exciting solutions for range extender and power generator applications. Now with CREEV technology, all the benefits of a high power, low weight rotary engine can be experienced with the additional advantage of significantly reduced exhaust emissions, noise and heat generation.